Home Apps How to Become a Premium User of HinKhoj? Hinkhoj Team is happy to share with you all that we have released a new updated version of our English-Hindi dictionary app “HinKhoj” with lots of new features for our users. This time it’s good news for our Premium Users as you’ll get a number of new features if you are a premium user of HinKhoj dictionary application. WHY BECOME A PREMIUM USER? Let’s face it, Ads are annoying. We provide our premium users with hassle-free (and by that I mean advertisement free) experience. If you are familiar with the HinKhoj app, then you must know about our ‘Word Of The Day’ feature. 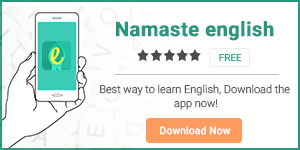 HinKhoj app is not just a dictionary app that deals with mere word meanings. Our premium users will have a benefit of downloading all the previous ‘Vocabulary Tips’. We have a wide range of fun games to help our users to learn English while playing games. If you become a premium user, you get to take your learning experience up a notch as you can play the ADVANCE and EXPERT levels. The Hinkhoj team constantly updates the dictionary data and new words on a daily basis. So, I’m pretty sure you would want to become a premium user of HinKhoj dictionary app. • Click on the first icon present on the upper right of your screen. • The premium screen has a payment option at the• bottom, click on that option. • You’ll get a number of bank options to choose from. Click and select your preferred bank to complete the online transaction. • You can also choose the option of Credit/Debit card or PayU money. • After choosing the payment option, click on the ‘PAY NOW’ tab at the bottom of the screen and you’ll be taken to a secure online transaction portal where you can complete your transaction. The moment you complete the transaction, you become the premium user of HinKhoj dictionary application. Now, you can enjoy all the premium features in a minimal amount of 1000/- for a whole one year. HinKhoj app supports all kinds of online and digital transactions and thus provides you with a hassle free and cashless payment options. HOW TO DOWNLOAD THE PREVIOUS WORD OF THE DAY? • Click on the latest ‘word of the day’ on your screen. • Download all the previous ‘word of the day’ with a simple click. Hopefully, the regular and premium users are finding the app helpful.